Leizhan hi-tech Drum Pulper integrate pre-soaking, screening and pulping part into one paper equipment, and applies to the latest technology to achieve minimum fiber loss with lowest power consumption. Drum pulper can continuous pulp and preliminary screen in paper stock preparation process. Leizhan new type Drum pulper can gentle pulp under 14%-18% high consistency to uttermost maintain fiber property and it has low damage to impurities while screening impurities effectively. 1. Gentle pulping and efficient removal of coarse contaminant. 2. 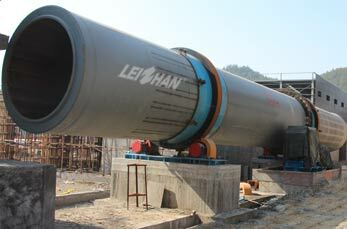 Large production capacity, Low energy consumption. 3. Long pulping residence time, sufficient fiber relief, minimum fiber loss. 4. Few quick-wear parts, continuous pulping.